Covered call is a fairly common conservative strategy where investors make an attempt to increase the return on their investments. This strategy is more common among the professional investors but since it’s not as complicated as most tend to think, it can be quite useful to anyone who takes the time to learn it. Learning new strategies is always a good idea. This will allow you diversify your portfolio and take a different approach to your financial situation, perhaps leading to a better outcome. New strategies also open the door for new types of investments which is always useful. But enough introductions – let’s dive right in the subject at hand. We need to first introduce the concept of options because it lies in the heart of this strategy. We’ve talked about options in several sections of our site, but in case you haven’t read them, here’s a brief overview of what options actually is. When you are the owner of a stock, with that position come some inherent rights, one of which is selling the stock at any given moment for the market price. Covered call is selling your right to another interested party for a cash paid today. In other words, a contract is stricken between you and the buyer of the option that you are giving him the right to purchase your stocks at a foreordain price (which is called a strike price) and before a predetermined date (called the expiration date). By giving the potential buyer the legal right (but not the obligation) to purchase your stocks, you’ve decided that the price movements on the market will be in your favor and you think you will profit from this. This is what a call options is. What is a covered option, though? 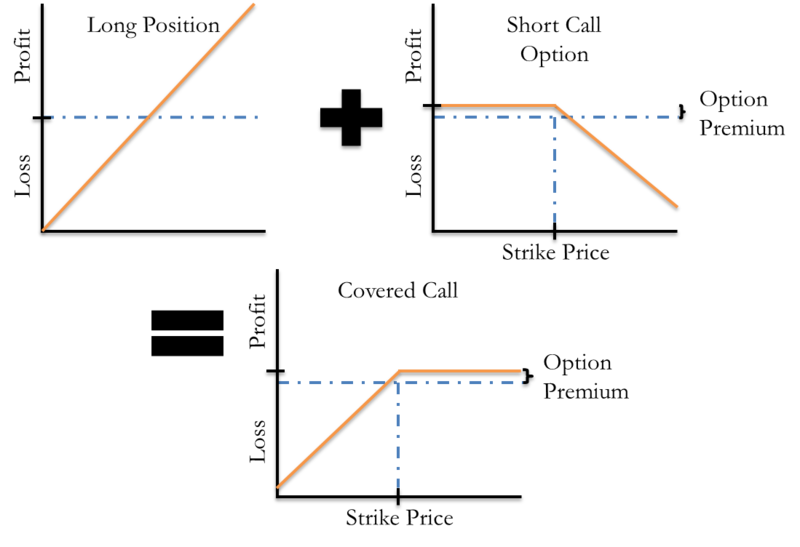 If the strike price is reached before the expiration date and the buyer decides that he wants to purchase the underlying stocks (remember, it’s his right but not obligation), then you will have to sell them (because the buyer has the right to buy them, but you have the obligation to sell them at the strike price and before the expiration date). The option is “covered” if you actually have the stocks. If you don’t, then you will have to purchase them at possibly even higher prices so you can sell them at lower which will lead to even bigger losses. How do you profit from Covered Call? Upon striking the agreement between you and the other side for the call option, a cash fee is paid by the potential buyer to the seller. This fee is a called a premium and the money are paid from the buyer to the seller regardless of the outcome of the deal. This means that at least the premium is guaranteed to you, if not anything else. When to Sell a Covered Call? As we’ve already established, you receive money the same day you sell the call option. 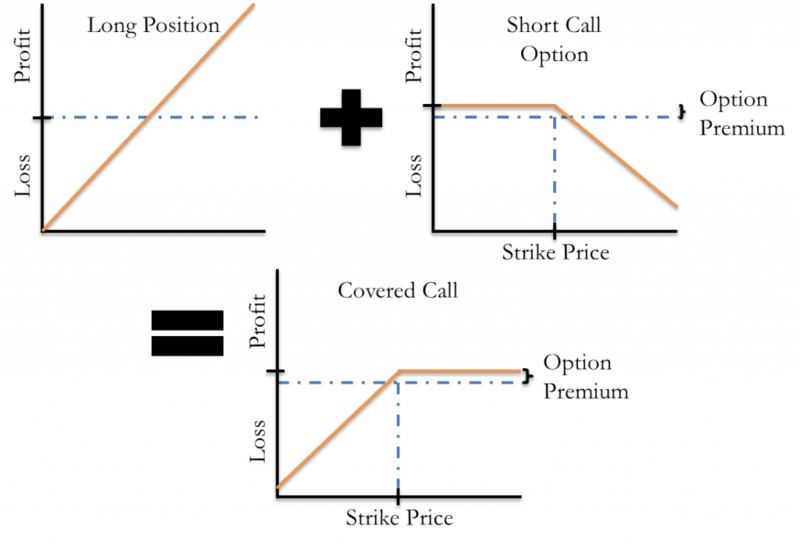 Call options are often used in order to gain shorter term profits. For example, if you purchase a set of stocks today for USD 40 and believe that they will rise to USD 50 in six months, but need some short-term profits sooner, you may sell a call option for the stocks at USD 45. By selling your covered call you gain the profits sooner, even though you get less for them than if they were at USD 50 after six months. An upside is that you also get the money from the fee. In this case, you still have a profit. Yes, it’s smaller than what you’d hoped it would be in six months, but it’s sooner. In this scenario, you get a hefty profit because you’re selling them at a higher price than the one you bought them at. The obvious downside is that if the stocks rise significantly, you will be worse for selling the options than you would’ve been had you simply held the stocks. Selling covered call options can be quite useful and beneficial for you. It can reduce potential risks and even increase your profits, but it can also reduce your profits by trading the money you get from the free right away and collecting the options earlier, for higher gains later. Thus, covered calls are a double edged sword that needs to be approached with caution. The biggest risk comes from the fact that if there is an immediate rise in the stock prices, you might be tempted to sell your stocks right away. This may generate some considerable profits, but this will mean that you will have to actually buy stocks in order to sell them later (because of the option) which can lead to significant losses depending on the stock prices. Selling an option for stocks you don’t have is called a “naked call”, which has a high loss potential. Covered calls carry a certain risk, but in general they can be rather beneficial in granting you short-term benefits and even decreasing potential losses. If you want to execute this strategy in such a way that it will be worth it for you, then you will have to carefully study your chances and make a decision based on objective data and accurate statistics.